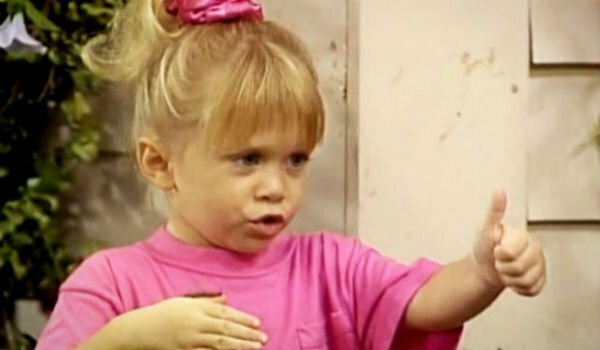 It seems impossible to have Full House without Michelle Tanner. And now, with the Netflix spinoff, Fuller House set in motion, everyone was hoping to see their favorite catchphrase munchkin all grown up. Mary-Kate and Ashley Olsen weren’t down to clown, though, so disappointment ensued. But now, Jodie Sweetin otherwise known as Stephanie Tanner says the beloved little sister will still have a presence on the show. The Michelle character is still going to have a presence. It's not like were not talking about her. I love and support [Mary-Kate and Ashley], and I think we're going to be just fine. So, at least we can be content in the fact that Michelle will be mentioned. What her storyline will be, now that’s up in the air. Is she traveling the world? Did she pass away? What’s Michelle been up to all these years? Has she learned any new catchphrases or is she still saying “You got it dude” after all these years? Sweetin, now 33 will reprise her role as Stephanie who is now an aspiring musician who has moved in with newly widowed D.J. (Candance Cameron Bure) along with D.J.’s best friend Kimmy to help D.J. take care of her two boys and soon-to-arrive baby. Basically it is the same formula as the original Full House, now with the girls in place of Bob Saget, John Stamos, and Dave Coulier. With the girls leading the cast, it would have been fitting to have Mary-Kate and Ashley Olsen adding the role of Michelle to the mix. But Sweetin seems to tease that the show will still be quite inclusive. The actress also touched upon the emotional reunion of all the actors on set, explaining that the first day back on set will be quite the moment. We first started talking about this in like 2007, 2008 about trying to do some sort of a spinoff and kind of bringing the characters back. This has been a long time in the making. I had kind of given up for periods of time where I'm like, 'It's not going happen!' But we pitched it to Netflix and they were so excited about it. In addition to the leading women, Fuller House will also feature Bob Saget, David Coulier, John Stamos and Lori Loughlin all reprising their roles. There’s still a while before the series officially hits Netflix in 2016, but we look forward to seeing plenty of set photos and teasers from the reunion of the cast.